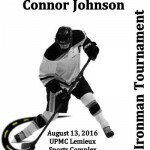 On August 12, 2016 The Connor Johnson Foundation hosted the First Annual Connor Johnson Ironman Tournament. 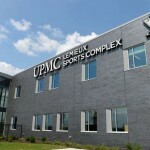 There were 7 man teams from eight local high schools competing in non-stop hockey action all day at the UPMC Lemieux Sports Complex in Cranberry Township, PA. The boys from Kennedy Catholic High School emerged as the winning team. During the course of the day, players and guests of the tournament were able to test their driving skills on a texting and driving simulator, sign a crash car and pledge not to drive while distracted. 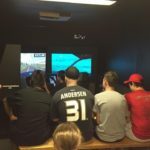 The PA DUI Association provided a DUI mobile unit so that players and guests could experience what it is like driving under the influence using a computer generated program. 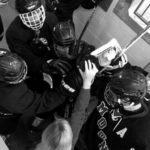 PA State Troopers presented the What Do You Consider Lethal presentation to players and parents during the hockey action. Much to the delight of players was an exclusive teen Chinese auction table. 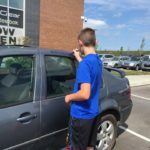 Teens received tickets for participating in the distracted driving activities and could use those tickets at the silent auction table. 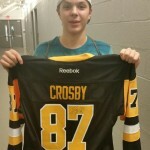 In addition to auction prizes the players received team photos and a gift bag. 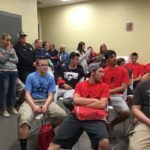 All in all, participants and guests had a great time and proceeds from the event will be used to send local high school students to the national SADD conference in Florida and to provide resources to local high schools to further educate young drivers about the devastating consequences of driving while distracted. A very special and heartfelt thanks to all our sponsors and contributors who made the Ironman possible. 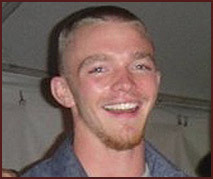 Your generosity has enabled the Connor Johnson Foundation to continue its work educating young drivers and making everyone’s driving experience safer.